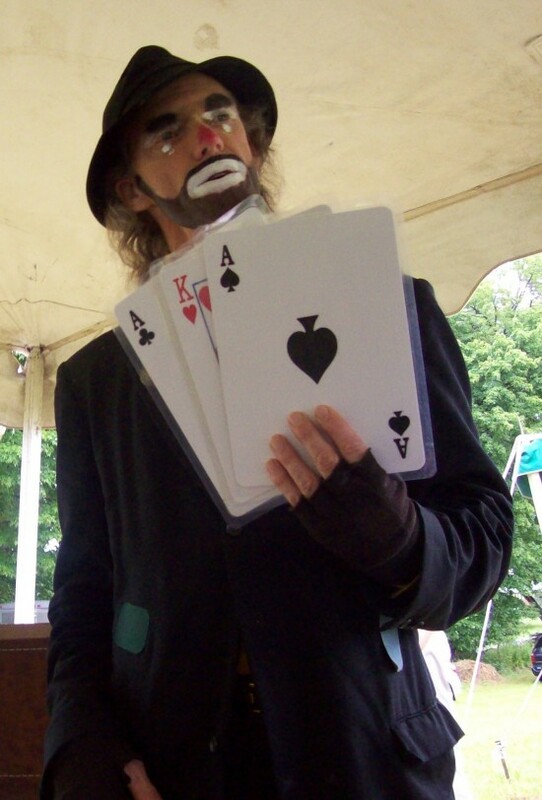 Clowning for any family friendly event, also a children's party entertainer. 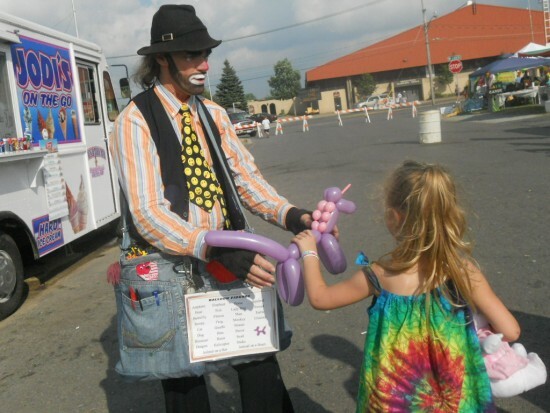 There are five clown characters to choose from, who twist balloon figures and perform comedy magic and Gospel magic. 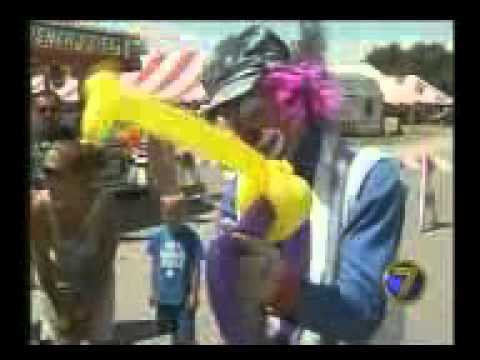 The clowns entertain at fairs, festivals, grand openings, trade shows, parades, parties and church services. We can provide stage shows and/or strolling entertainment. If clowns aren't your thing Mr D can be part of your event instead. Birthday parties I only travel 75 miles or less, one day events up to 250 miles, weekend events 500 miles. Week long events we will travel almost anywhere. Chee Chee went above and beyond to make sure all of the children at the event got their balloon. He even prepared some in advance to make sure he'd have enough to give away. Great choice for your event! Thank you. You had a great event. He was so great! He is very talented and we will definitely have him back again! Thanks, this was a great event. Lots of great kids too. Really enjoyed my time with you. 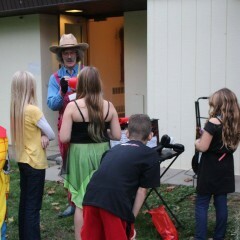 Chee Chee the Clown (or in our case C-O-W boy) was a highlight of our event. 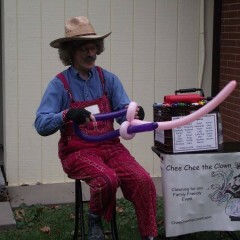 There were not enough good things said about both the balloon animals AND the magic show he did for our Harvest Festival. We would not hesitate to invite him back for another event! Thanks, I had a great time. Sorry that Chee Chee did not show- unusual happening per gig salad- but many disappointed children- it was a church and village event. I'm very sorry about missing this. It was my fault I got my days mixed up. All I can do to make it up to you is offer you my services for free the next time. Chee Chee the Clown was amazing. He had to have made hundreds of balloon art and he never tired. He was fantastic with the crowds, especially the kids and his balloons were perfect. 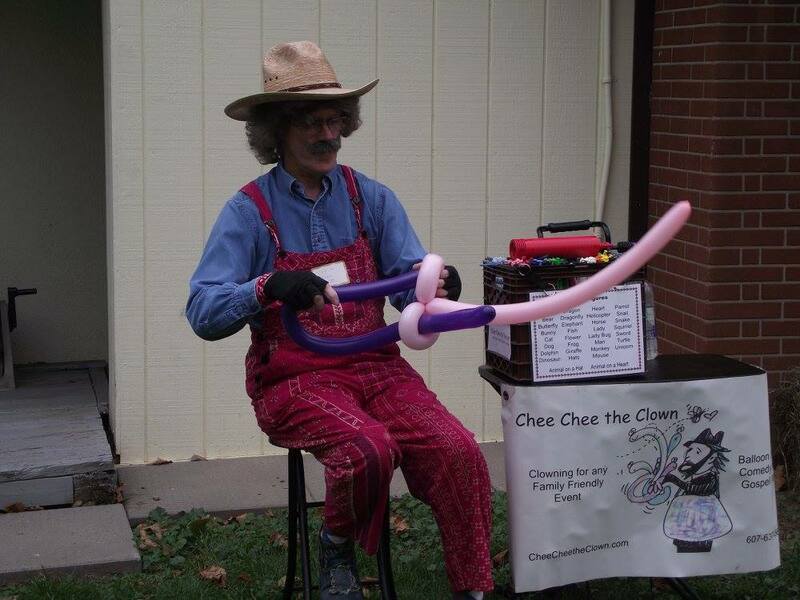 I recommend Chee Chee the Clown and hope I will have the opportunity to work with him again. Thank You. The Busk & Bard Event was a great event, I had a wonderful time. There was so much entertainment. This is an event you don't want to miss next year. One thing I hope everybody goes away with is a smile, rather I'm twisting balloons or performing a magic show. I don't think people smile enough so I want to make sure, even for a little while, that they smile. When I'm doing a Gospel Show, my hope is that they will "see" the Gospel, maybe even for the first time. I'm a visual person, so I can really relate to "seeing" the Gospel. I have 5 different clown characters and Mr D for the costumer to chose from. Mr D is a non-clown character for those who would rather not have a clown at their event. 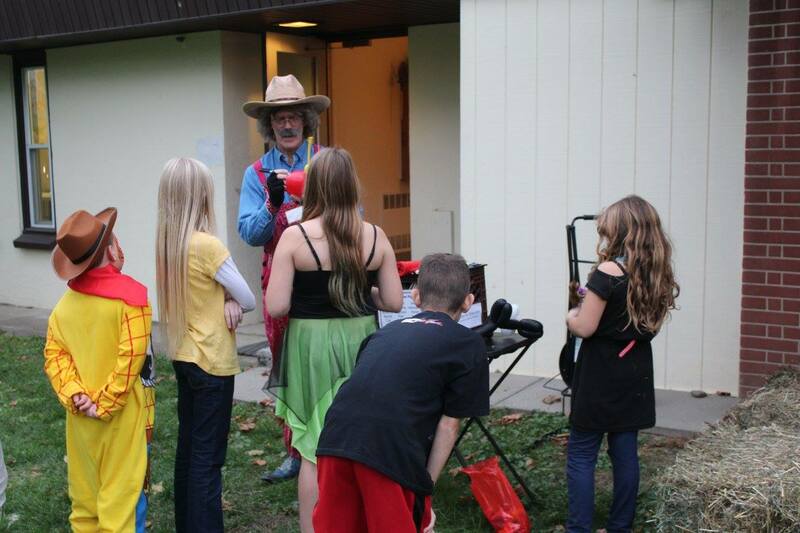 They all love to entertain at Family Friendly Events, fairs, festivals, trade shows and children's parties. Parties can include a magic show and/or balloon figures. 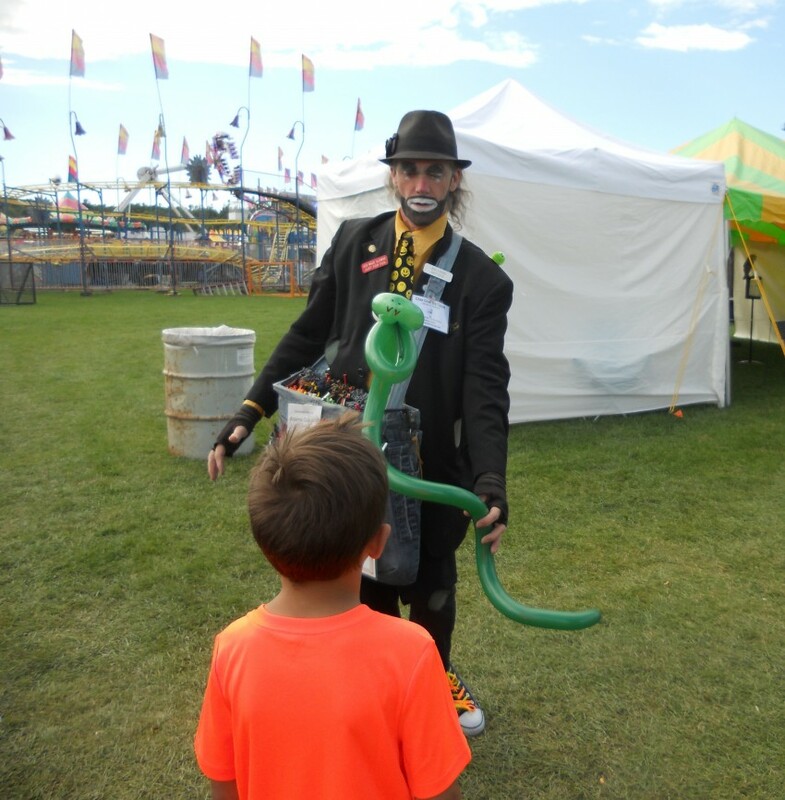 I do a strolling act, making balloon figures, which is great for fairs and festivals. Most of my balloon figures use 1 to three balloons. I like to make sure that as many people as possible receive a balloon. I entertain and interact with the crowd that's waiting also. I also carry with me something to juggle and some playing cards and my small linking rings so I can do a little magic once in a while. I perform comedy magic. I use a few volunteers too! It's a very interactive show. Good for small stages. I have some one-liners to go along with some of my props. 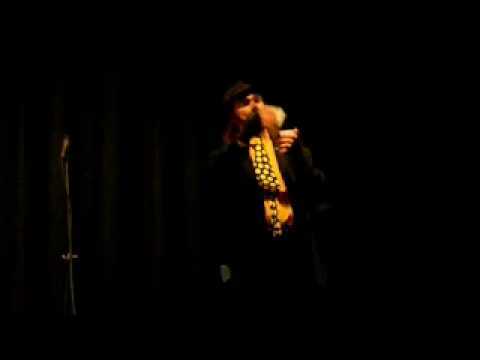 I can provide a sound system and lights if needed, if sharing the stage I can share my sound system and lights. When performing my magic acts I use a small table and work out of a small suitcase. I can supply my own sound system and lights. The act is good for small stages. One of my big influences was Red Skelton. He was a natural and just wanted to make people smile, to make people forget their troubles even if it was for just a little while. Tim Conway will always be high on my list too. Clown likes Dave Mitchel and Steve Krisel have been big influences on me also.